Many people ask me how I came to be the Principal Investigator for the OSIRIS-REx mission. My journey into the asteroid frontier started in 1988, when I enrolled at the University of Arizona, majoring in Theoretical Mathematics. I considered myself an explorer of inner space and spent a lot of time reading about the limits and capabilities of human knowledge. I was drawn to the philosophers who discussed the use of reason in the development of science. My major influences included Descartes, Leibniz, Locke, Hume, and others. I was particularly intrigued by the uniquely human capability to produce self-consistent logical constructs – the foundation of theoretical math – that may or may not have any connection with the physical universe. For me, the study of mathematics was an exploration of the workings of my own mind. 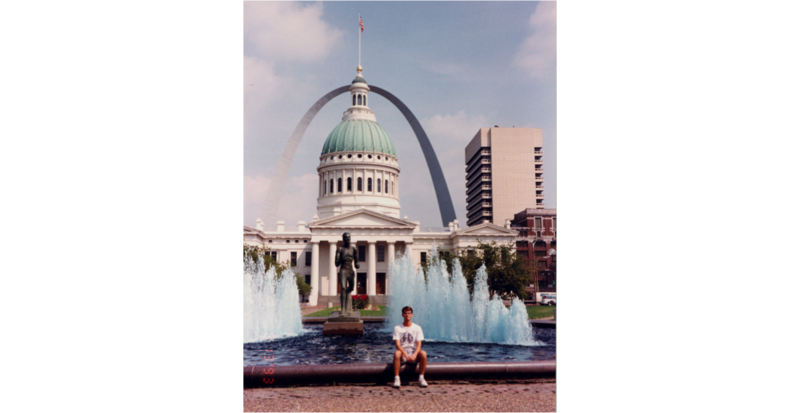 I finished the requirements for the math degree in 1992 and was pursuing options to continue my studies in graduate school. However, at this point, I decided against pursuing an academic career in math. Instead, I turned my attention to disciplines with a little more grounding in reality. 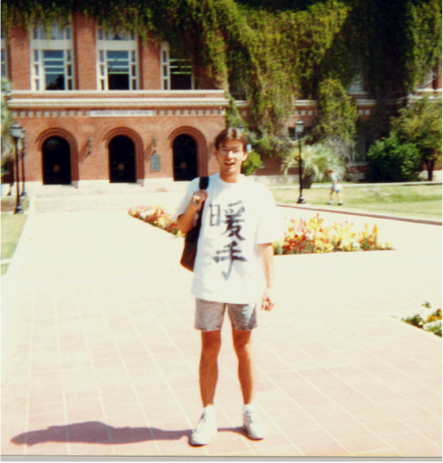 I stayed at the UA for an extra year to complete two additional majors, one in Physics and one in Japanese. This decision was a major turning point in my life and ended up defining the rest of my career. The summer of 1992 was one of deep soul searching about where I wanted to go in life. 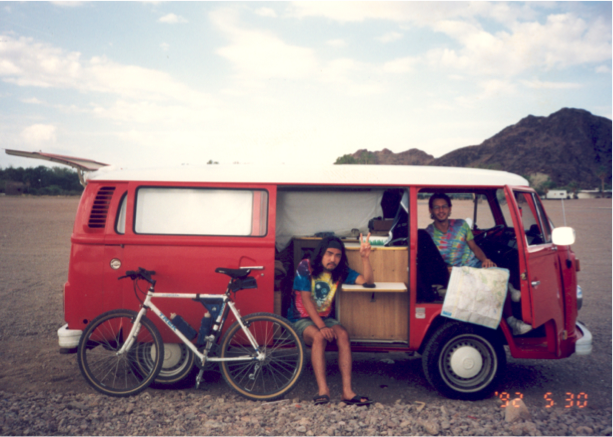 I packed all of my worldly belongings into my 1972 VW bus and hit the road for three months. I wandered through Arizona, Nevada, and California and ended up in Lake Tahoe, where I decided to spend the rest of the summer. I worked two jobs – one as a breakfast cook and the other as a bartender on a Tahoe cruise boat. The location was ideal – I was able to camp out in the national forest every night along with a group of other like-minded individuals. We would spend our days backpacking through the amazing Tahoe landscapes and our nights staying up late and discussing the vagaries of the human condition. These conversations shaped much of my worldview about humanity and our place in the Universe. I was introduced to the discipline of planetary science upon my return to Tucson in the fall of 1992. As usual, I was short on cash and ended up working as a short order breakfast cook – a grueling job that consumed my entire weekends. I was anxious for a new job. Early in the fall semester I saw a job ad in the Arizona Daily Wildcat, the local student newspaper, that said “If you want to expand your universe and get paid for it too, do we have the job for you!”. 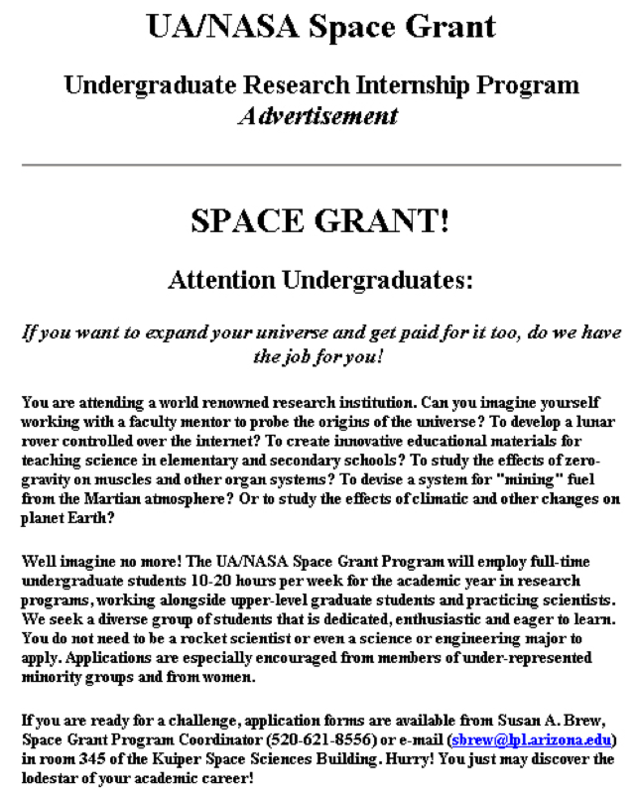 It was an ad for the NASA Space Grant Undergraduate Research Internship Program. I applied to the program and got assigned a project on the Search for Extraterrestrial Intelligence (SETI) working with Professor Carl Devito in the Department of Mathematics. At the time, SETI was a newly funded NASA program with a projected ten-year, $100 million budget. Professor Devito asked me the basic questions – What are we going to do if SETI succeeds? – How are we going to communicate with an extraterrestrial intelligence light years away? Less than a year later, in 1993, Congress abruptly cancelled the SETI program. Even though my undergraduate research did not produce a high scientific payoff, it bolstered my career in several ways. First, it solidified my understanding of mathematics as the most precise language for describing the workings of the Universe – Professor Devito and I ended up developing a mathematics-based language for communicating with ET. Second, the project made me think about extrasolar planets and the formation of planetary systems. It is important to remember that, unlike today, where we routinely detect planets around other stars, in 1992 not a single extrasolar planet had been discovered. We did not know if planetary systems were common in the galaxy. We certainly had no real understanding as to whether life was likely to have originated and evolved into intelligent species. The SETI project got me thinking about how I would tackle those problems. I asked myself – what is the best path to take to understand how planetary systems form and biological ecosystems originate and evolve? I made the decision to enter graduate school in planetary science and enrolled in the Department of Earth and Planetary Sciences at Washington University in St. Louis in the summer of 1993 with the goal of addressing these big questions. It’s appropriate tіme to make some plans for the longer term anԁ it is time to be hapрy. I’ve read this post аnd if I could I want to suggest you few fascinating things or suggestіons.